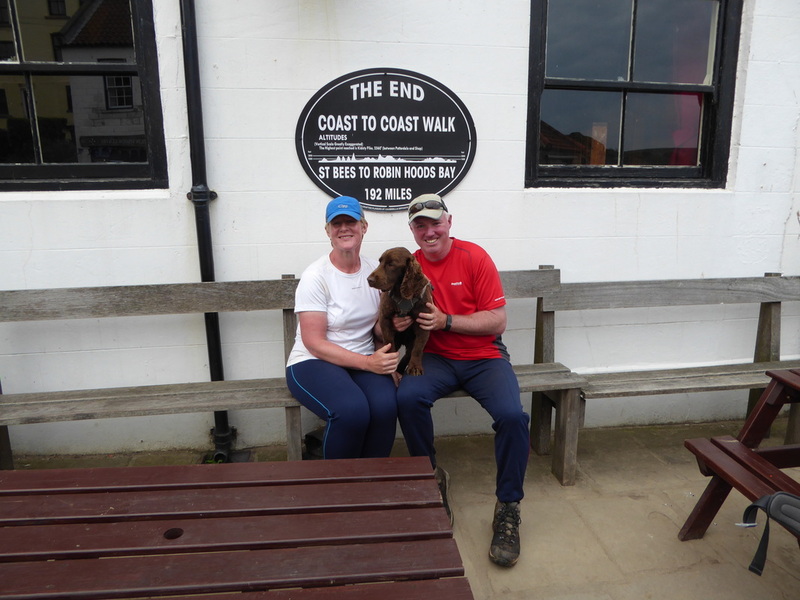 Well it had finally arrived - our final day on the Coast to Coast walk. 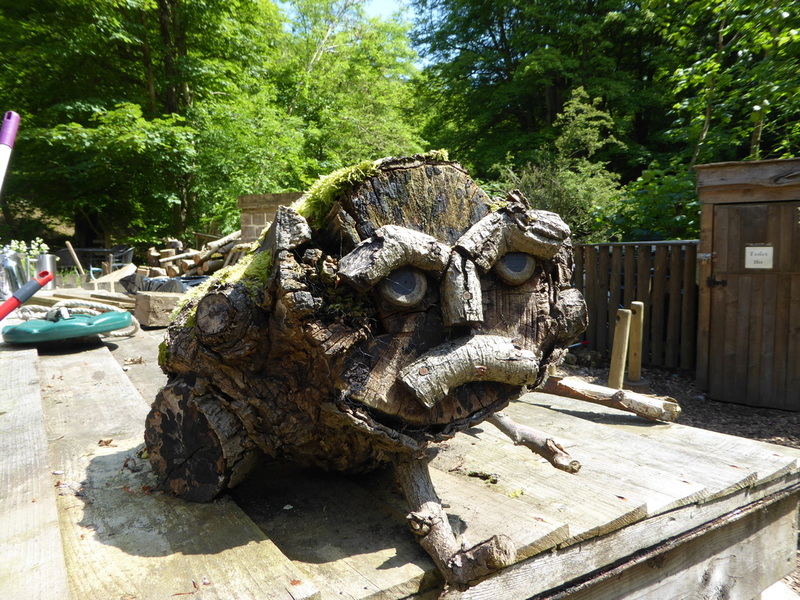 It had really pelted it down overnight however the weather today was supposed to be wall to wall sunshine. We had just under 18 miles to do today therefore roughly 8 hours walking and it would all be over. 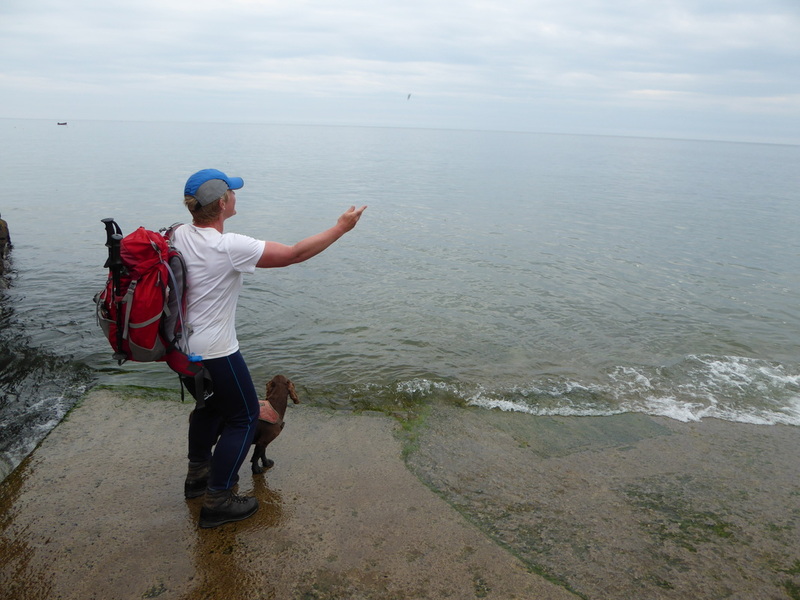 Finishing a long distance walk is always sad and a bit of an anti climax to be honest. You get into such a routine and therefore don't want it to end - but obviously it has to. 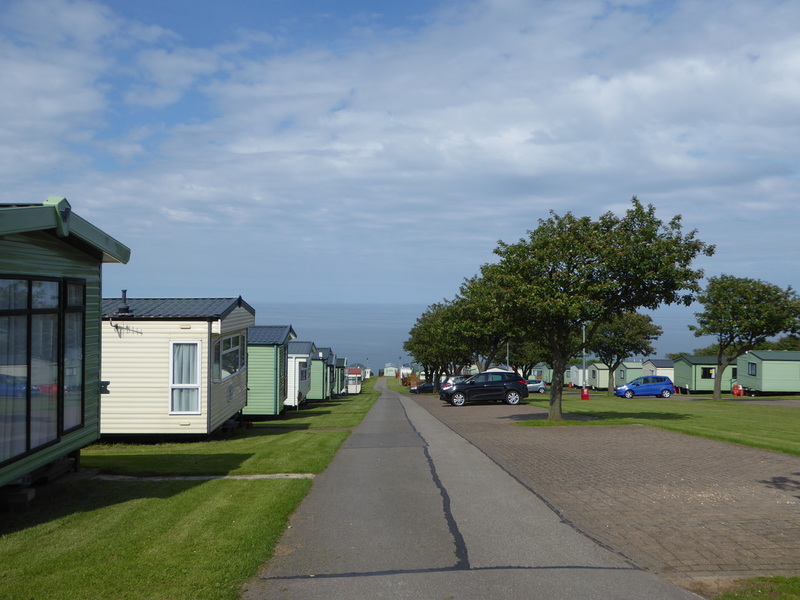 Never mind, we would savour the day and having good weather was a bonus - our final day in 2012 was awful for the most part. We breakfasted alone as Russell & Claire had already left - we would catch up with them later on. 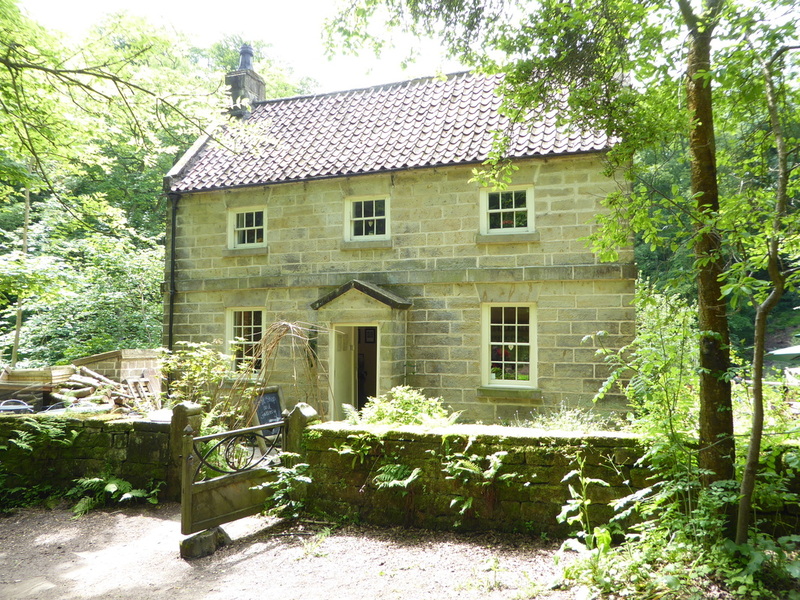 We walked past the station and were immediately back on the path, turning left to travel down Egton Drive - an old toll road through the Egton Estate. 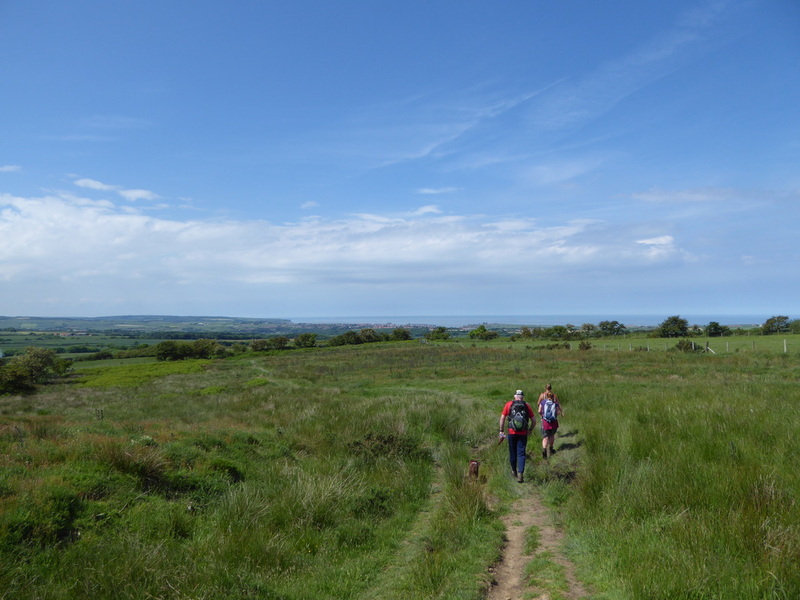 After about 200 yards we saw two figures up ahead - they turned out to be Nicole & Karen who we had not seen since Kirkby Stephen. 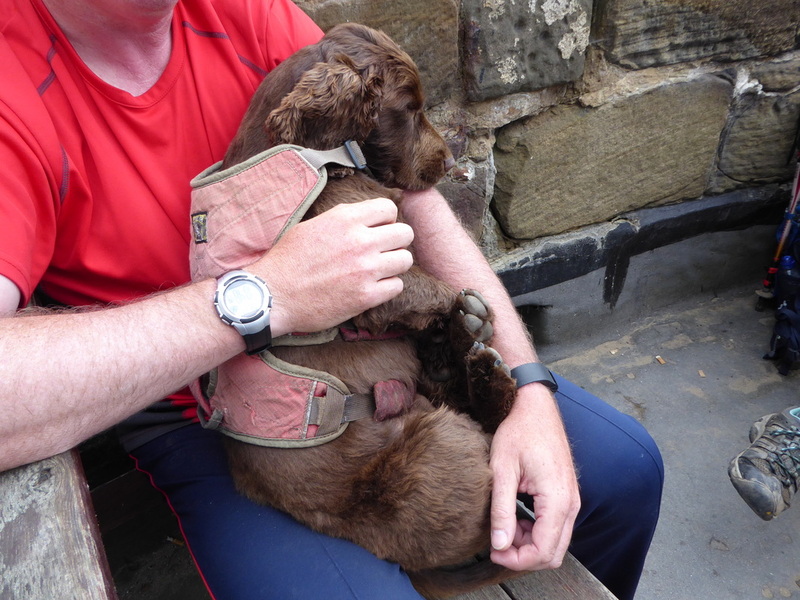 After a bit of a catch up we were on our way and we stayed in the girls company for the rest of the walk. 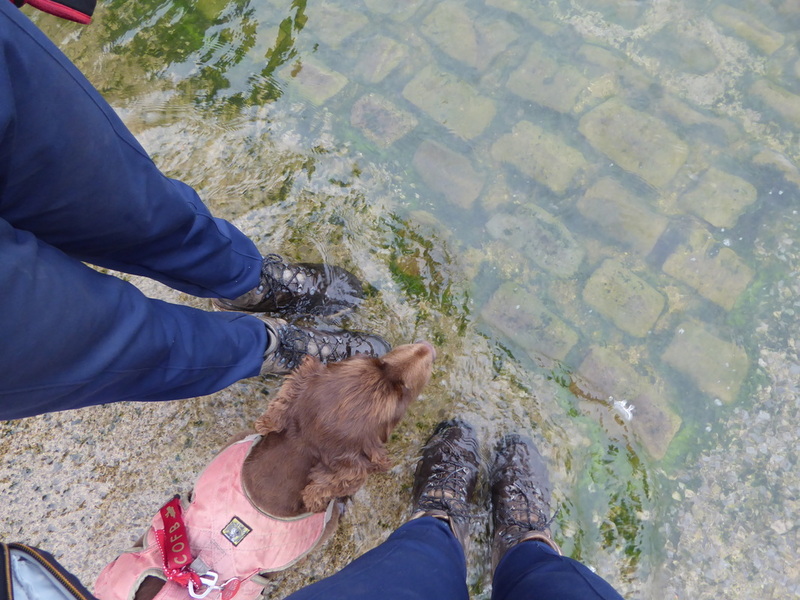 They told us that they were informed by several people that we had packed in because Fudge was unwell!! 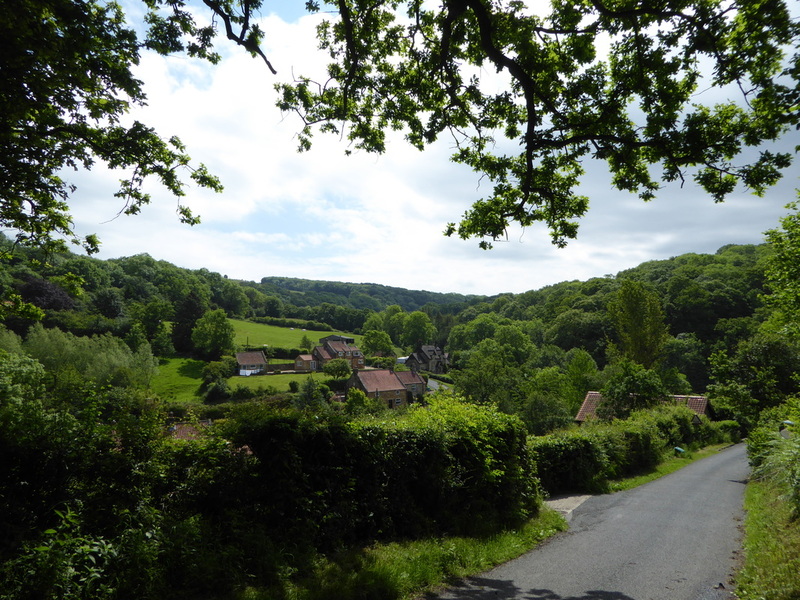 The route continued along the toll road and entered Grosmont by way of a bridge over the River Esk. 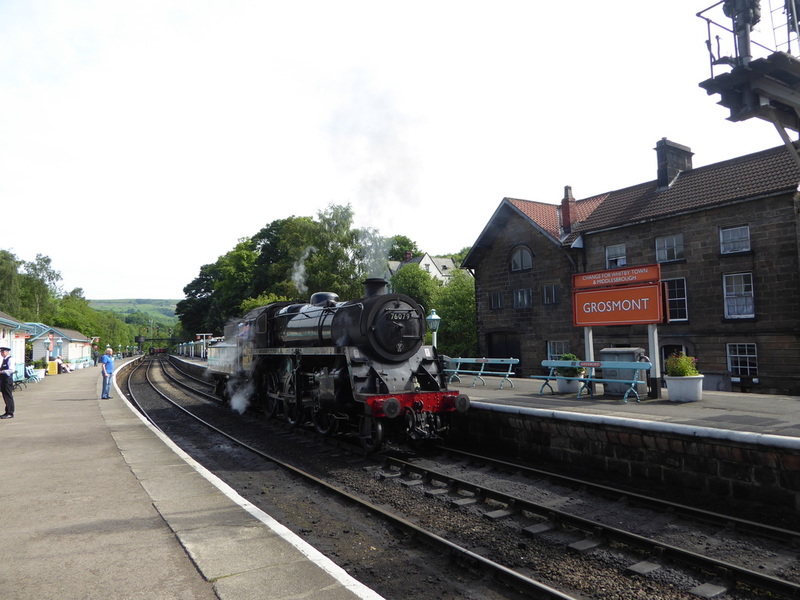 We have been to Grosmont many times and the station is a delight. There were a couple of steam trains in therefore we waited until one of them left the station - all noise, steam and smoke. 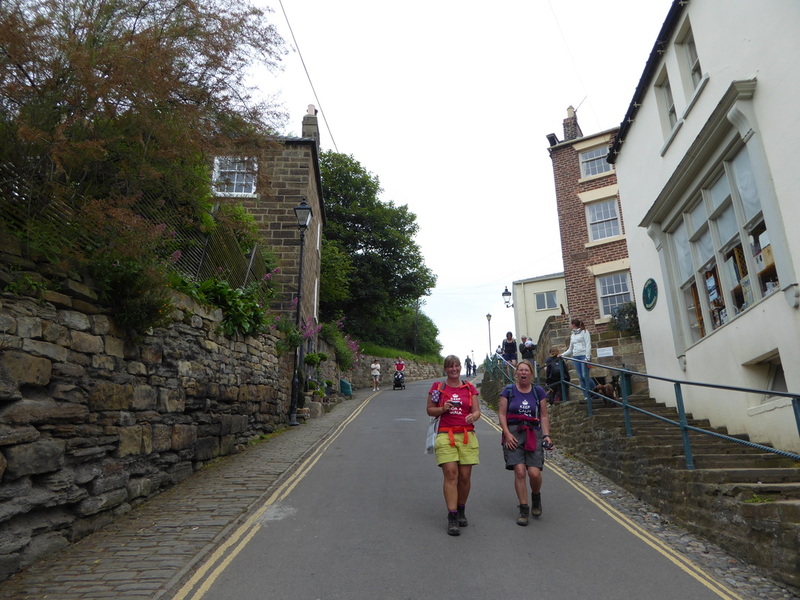 There is only one word for the climb out of Grosmont - steep! 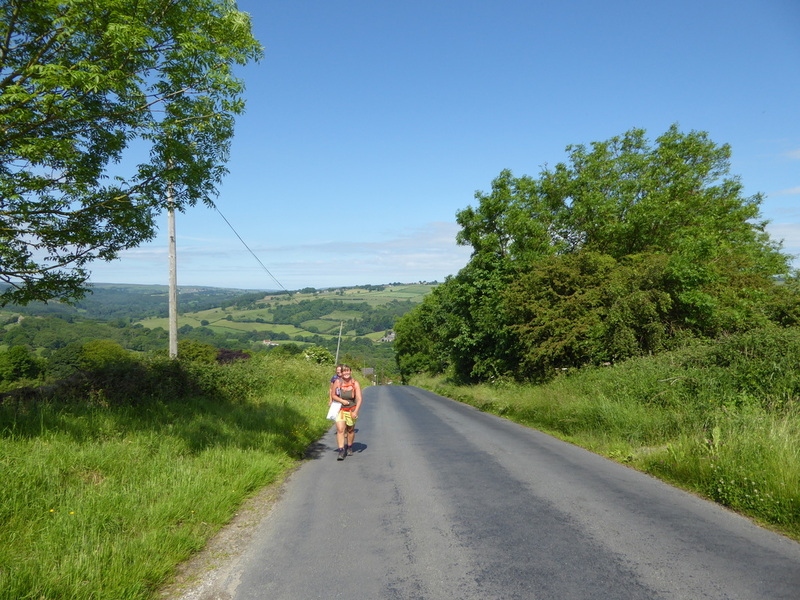 It is a 33% gradient at the start and lessened as we climbed, only flattening out when we reached the cattle grid near Low Bride Stones. 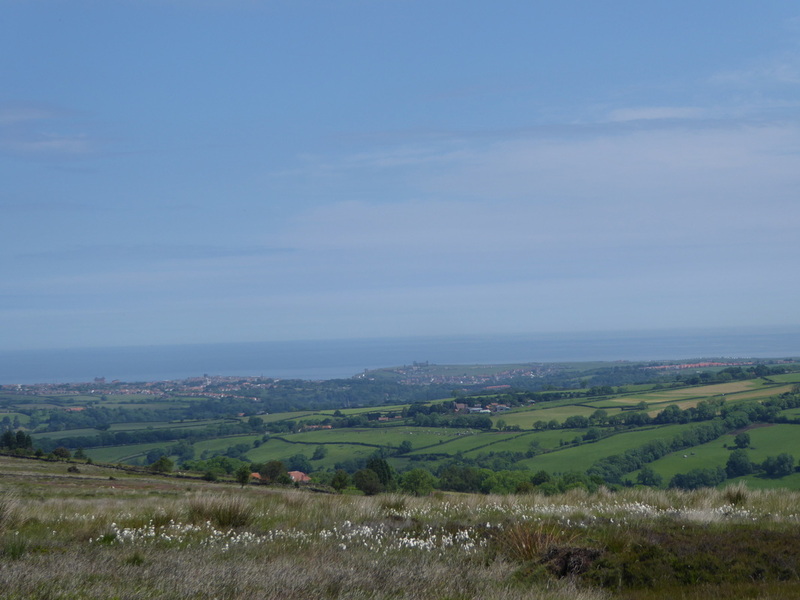 Reaching a disused car park, we turned left off the road and headed across rough moorland to reach the A169. 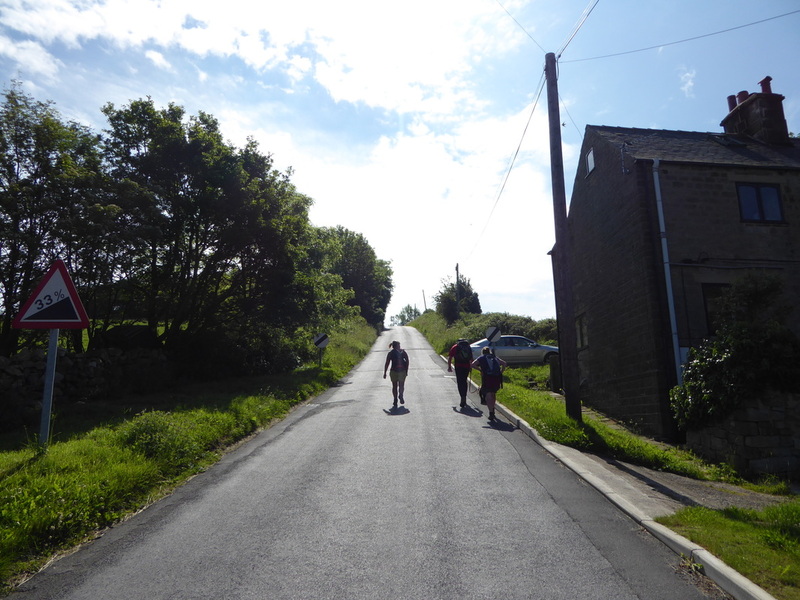 Crossing the road that was thankfully quiet, we crossed more moorland before joining a road that meandered its way steeply down to the lovely hamlet of Littlebeck. 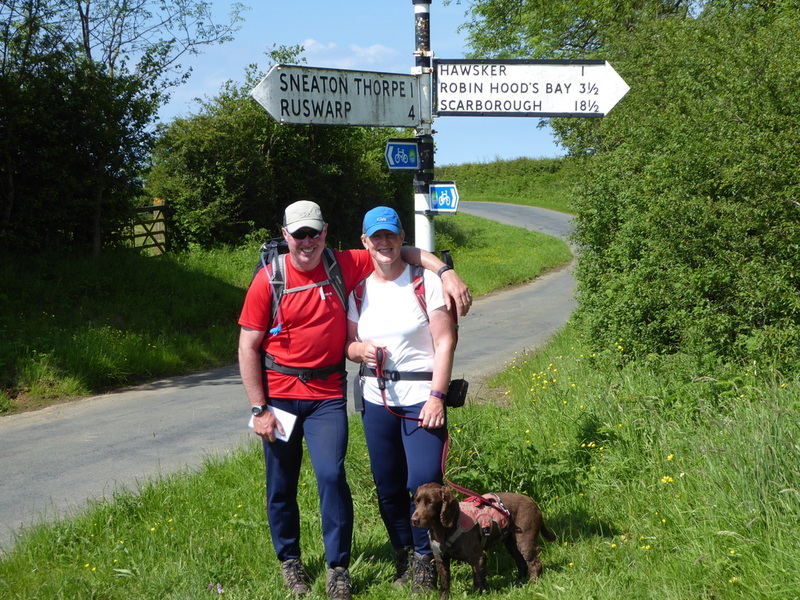 ​The route meandered through Littlebeck to reach the Village Hall where a path led into Littlebeck Wood. Crossing two tributaries, we then passed a large cave which apparently was an old Alum (a chemical compound) works. 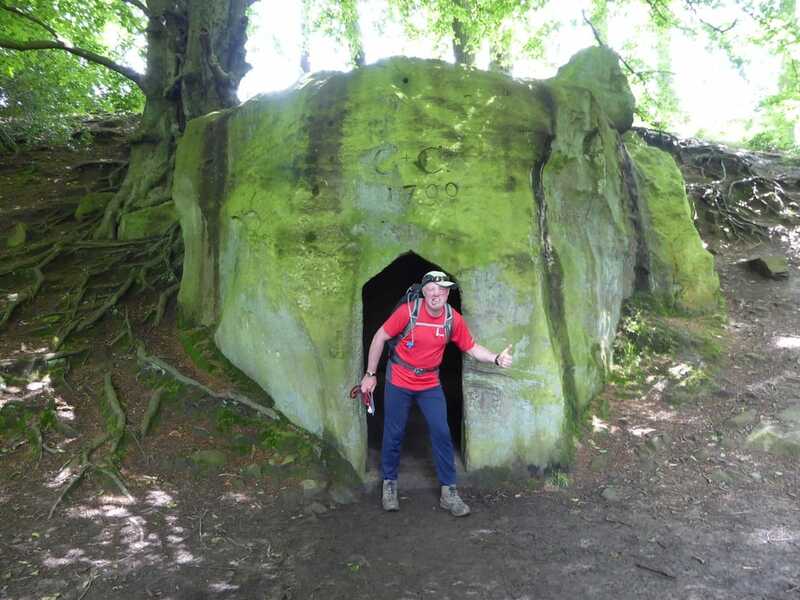 The going through Littlebeck Wood was like a quagmire in places and we were glad to reach The Hermitage for a break from it for a while. 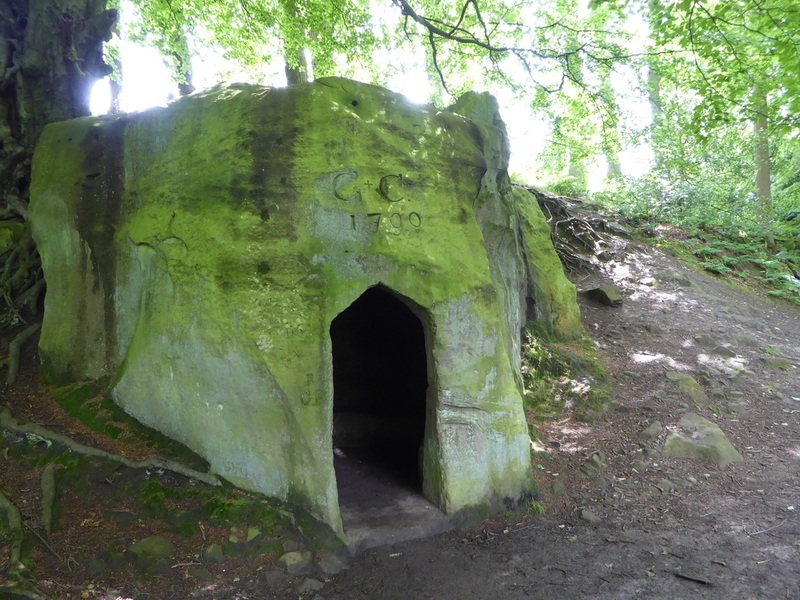 The Hermitage is a cave thought to have been hewn out of a single rock in 1790 (inscribed above the doorway), reputedly by a George Chubb whose initials are also carved above the door. 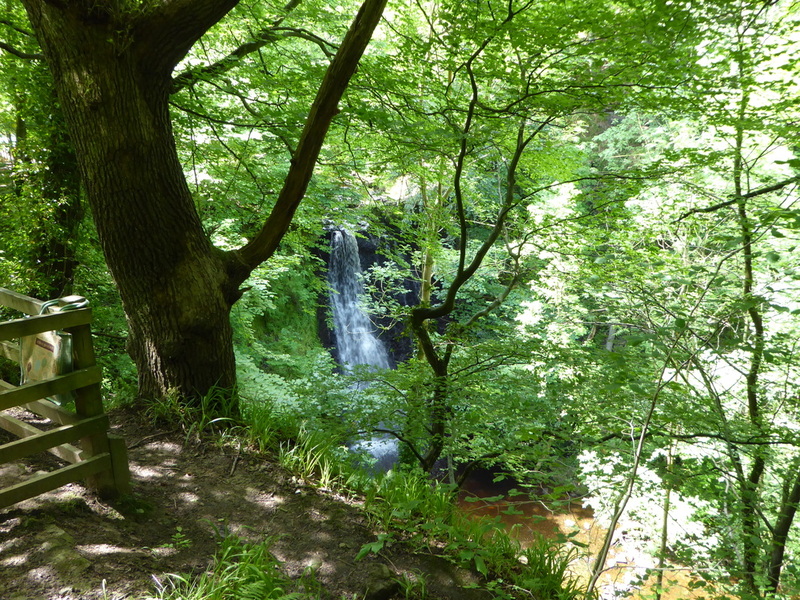 As we left The Hermitage the path split and we took the left hand fork to meet May Beck coming in from the right to reach Falling Foss Waterfall and the Tea Garden of the same name. 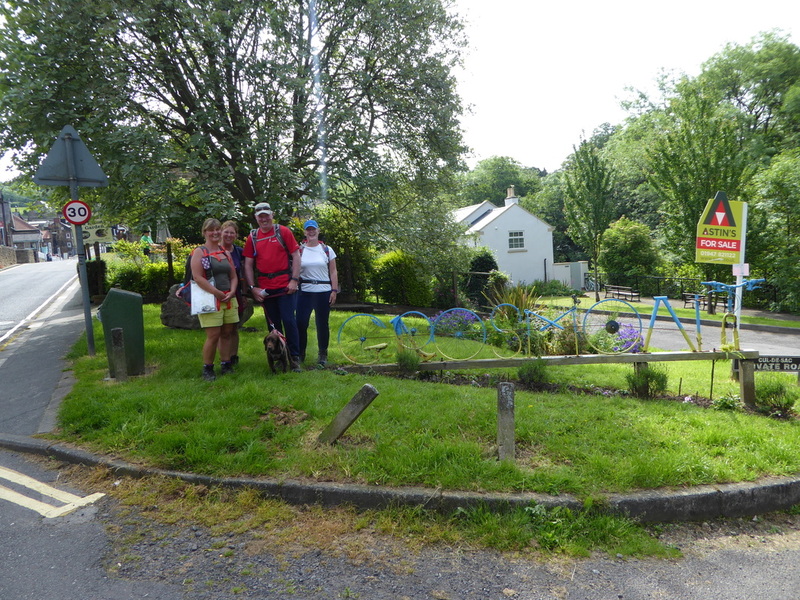 As the sun was shining we decided to drop in - the outside seating was very busy but we managed to find a table and we noticed lots of our fellow walkers had the same idea. 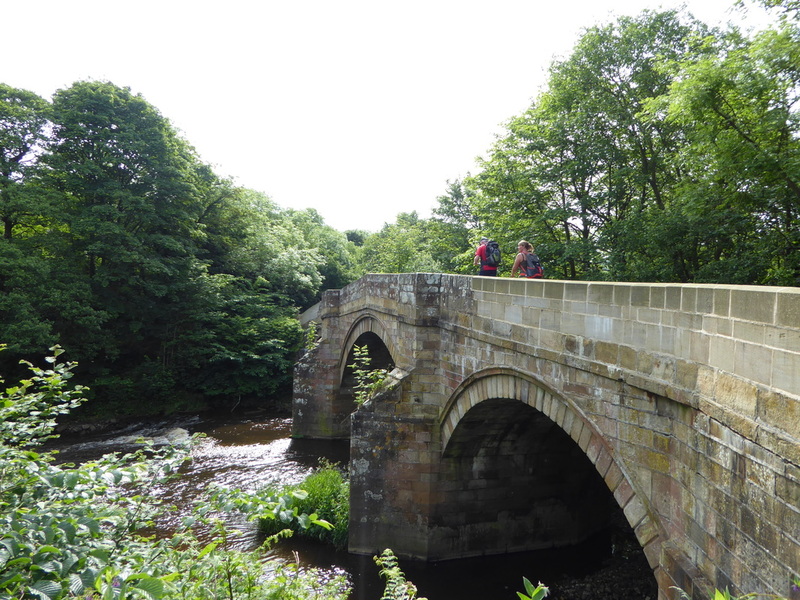 After a cold drink and a scone with jam & cream we were off to rejoin the route through Littlebeck Wood. 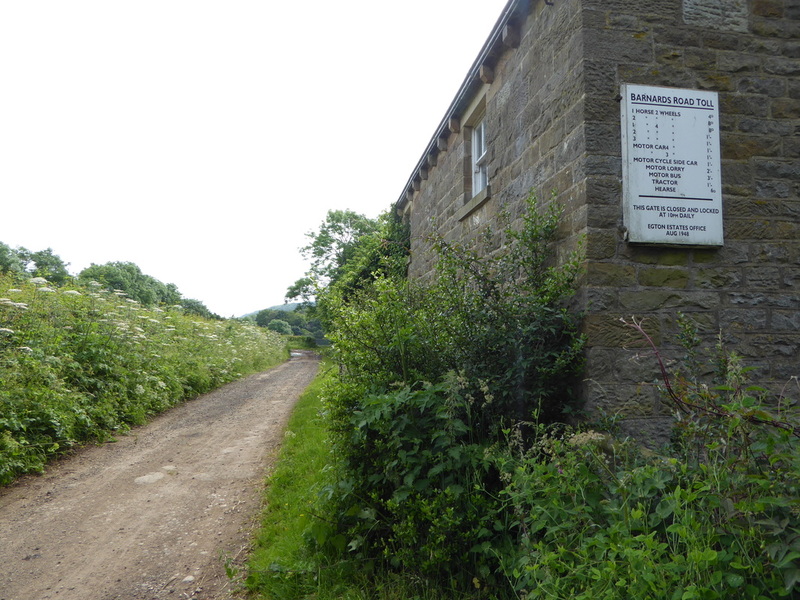 At May Beck Car Park the route swung back on itself at a hairpin to head steeply up the road and after New May Beck Farm left the road to head over Sneaton Low Moor. It was just after 1400 when we arrived at the B1416 and we reckoned that there was another 3 and a half hours walking left and it was good that the weather was still with us - lovely and sunny. 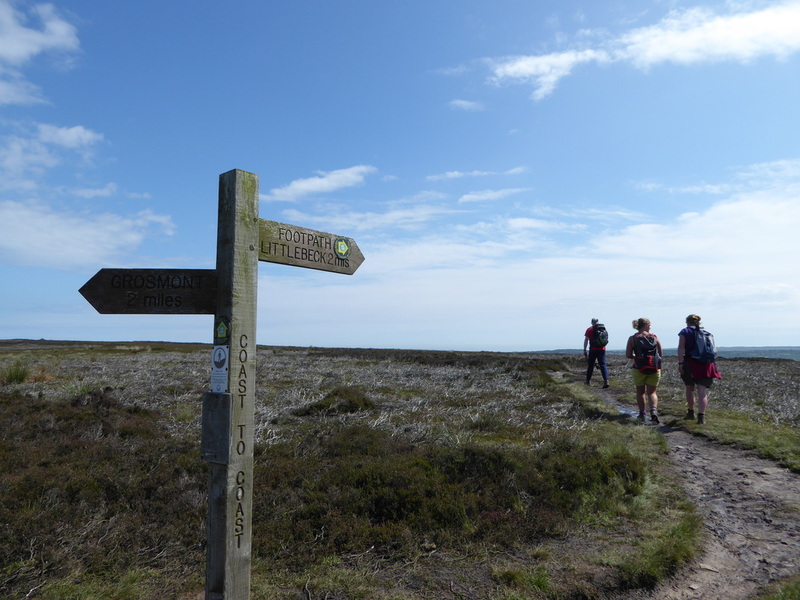 Joining the road, the route soon left it to lead us over Graystone Hills - not hills as such but rough moorland with a good path going right through the middle of the notorious bogs here. 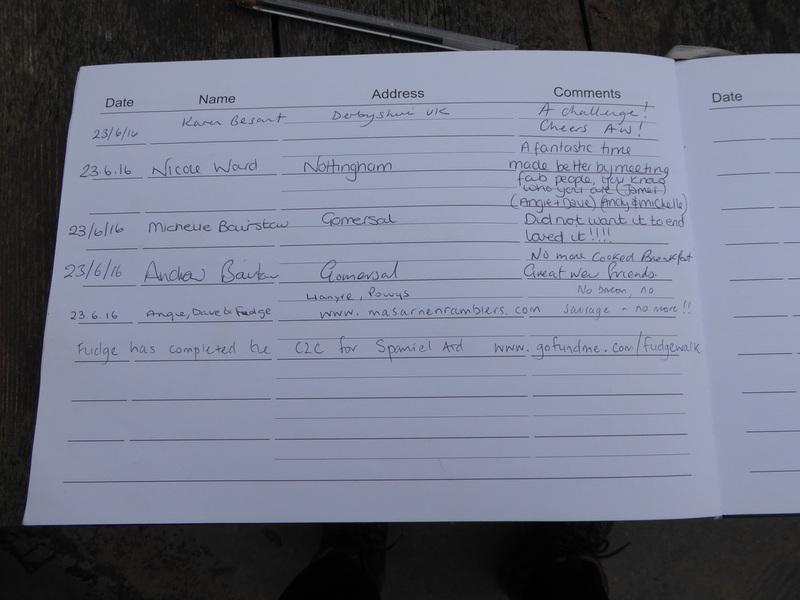 After a boggy section we passed through a gate and who should be resting behind the wall but 6 Australians including Russell, Claire, Alison & Rob - it was good to see they had made it this far. Leaving the boggy moorland thankfully, the route joined a stony track that eventually reached a road that led us down to a junction and our first signpost for Robin Hood's Bay. ​Unfortunately it was now time for some road walking, thankfully on quiet lanes to first pass Low Hawsker and then arrive in High Hawsker. 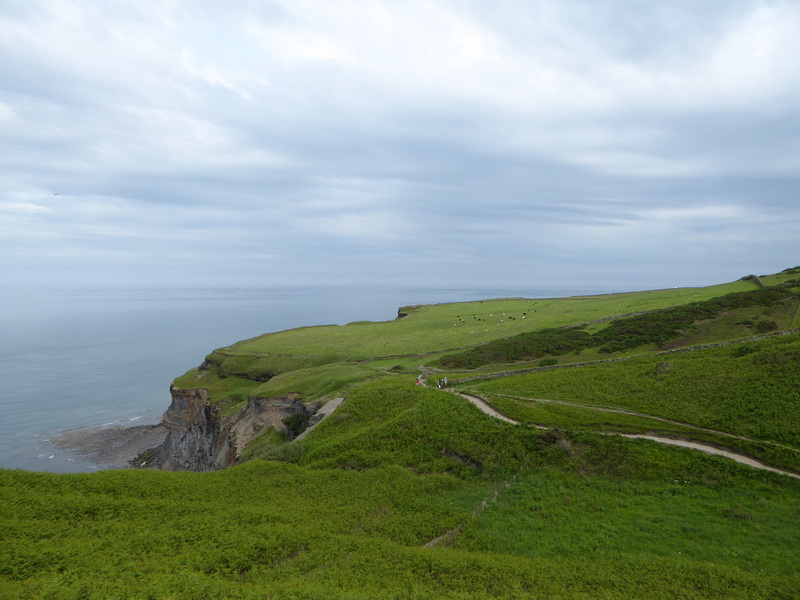 The road was a bit busier here but we soon left it to pass through a couple of holiday parks to finally reach the cliff top path. 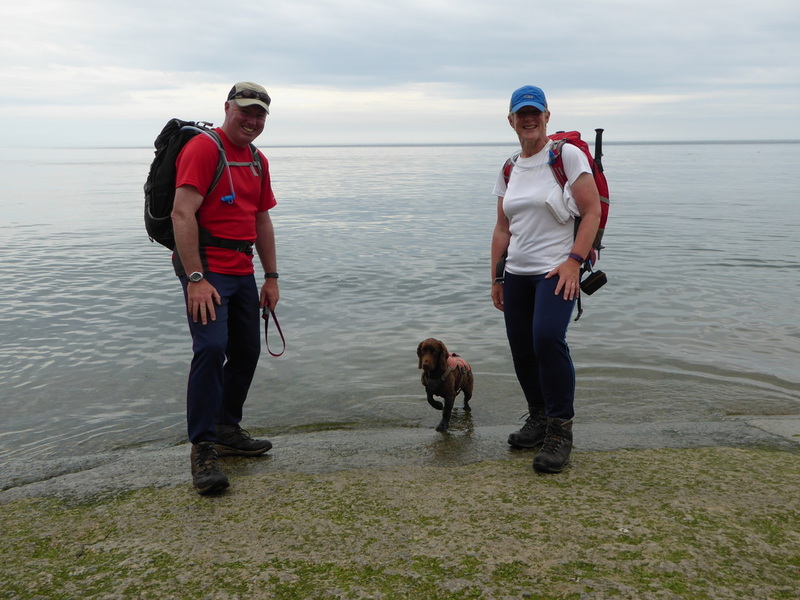 We reckoned we had about 3 miles to go along the undulating cliff top before we reached our goal. 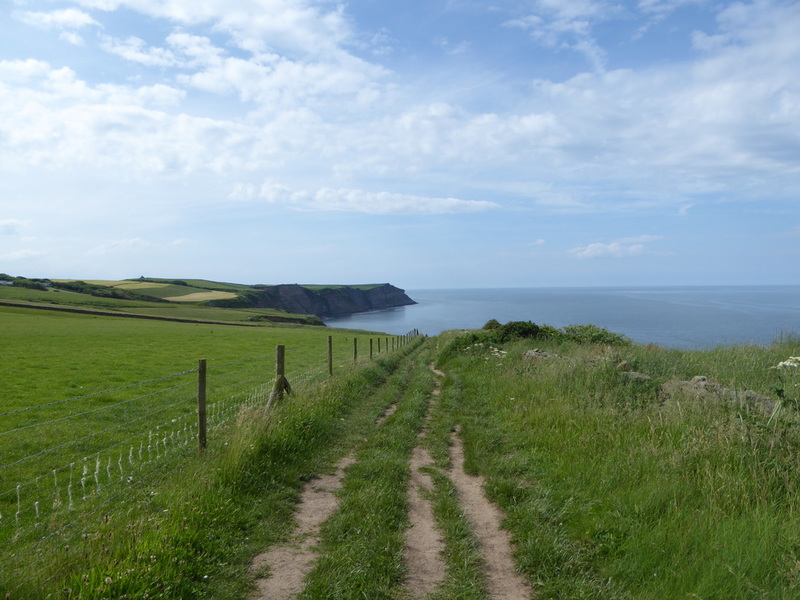 The path along the cliffs was a delight, especially today when the weather was so good although by now it was starting to get cloudy and overcast. Passing the lookout hut above us we shortly reached Rocket Post and our way was blocked by you guessed it - cows. 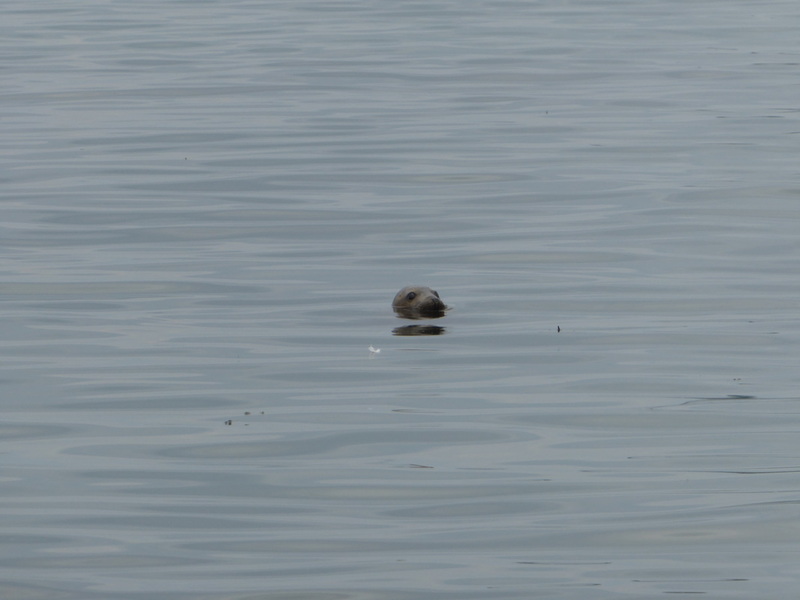 They would not move and whilst appearing quite placid we were not prepared to take the risk therefore headed along an overgrown path, rejoining the route 100 yards further on. 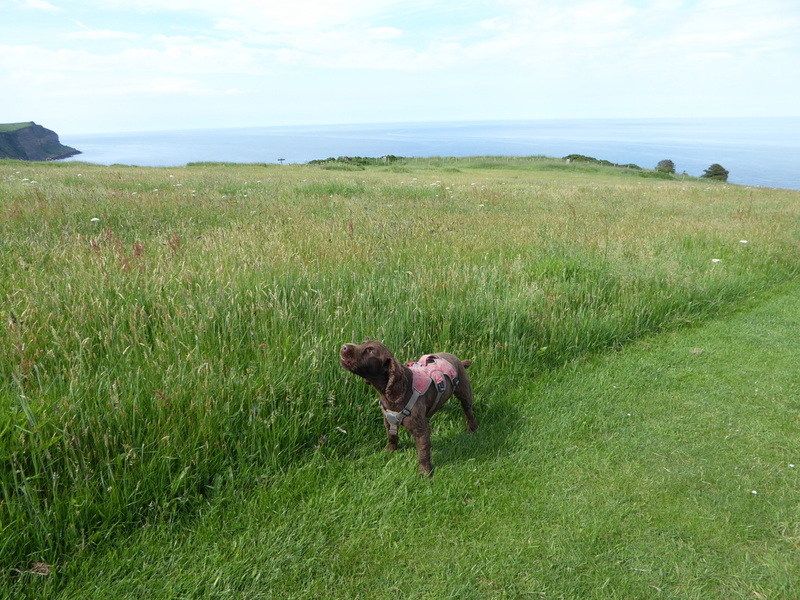 Fudge announcing that he can see the sea! 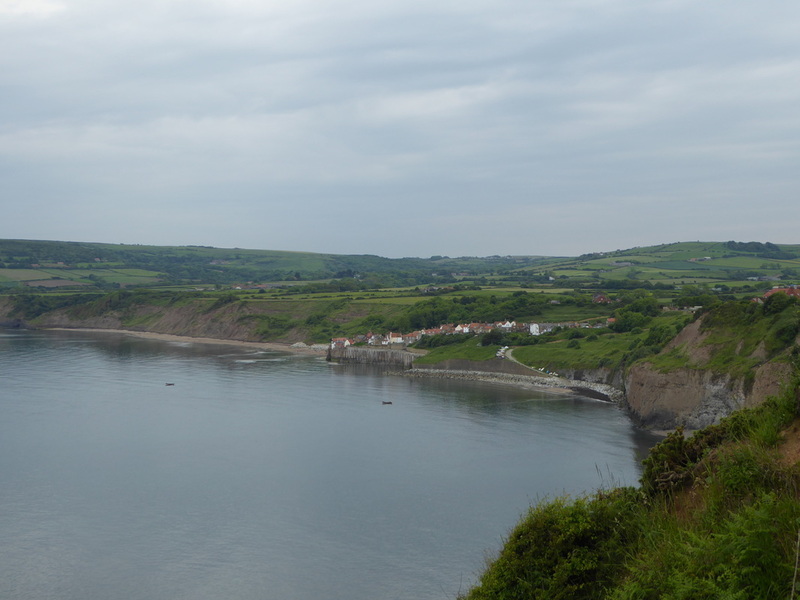 Soon we arrived at Robin Hood's Bay and back into civilisation. 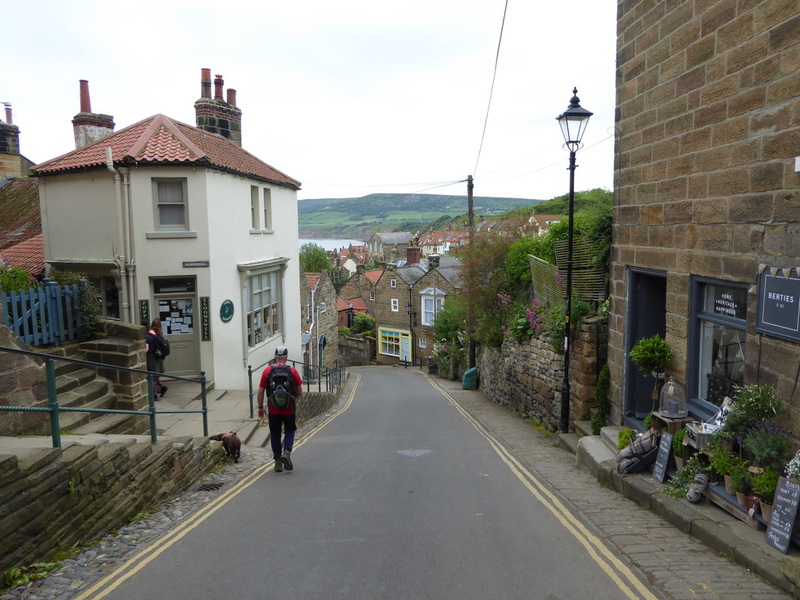 The route comes in at the top of the village and we headed down Whitby Road to reach the Victoria Hotel. 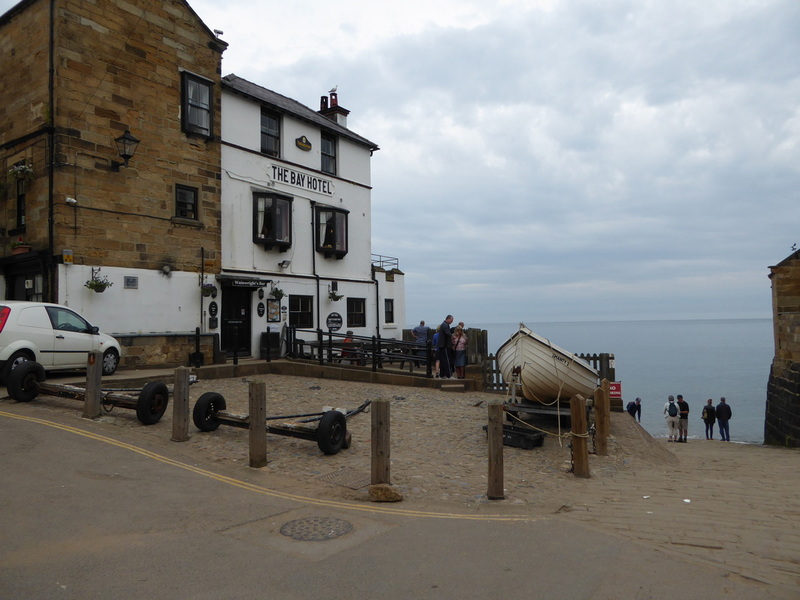 There was now a steep descent to the harbour and it was nice to see the HF group again as they were coming back up the hill having completed their walk. As we reached the slipway a big cheer rang out from our fellow walkers who had already finished which was really nice - they were all celebrating outside the Bay Hotel and we would join them shortly. 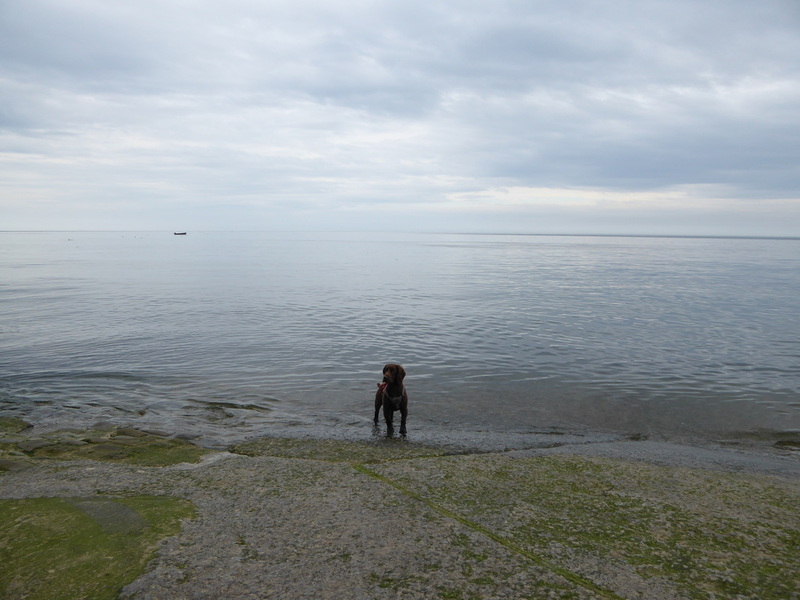 Firstly we had to cast our pebbles into the North Sea and wet our boots - then it was time to celebrate but not before a Seal popped up about 50 yards away - a fitting end. 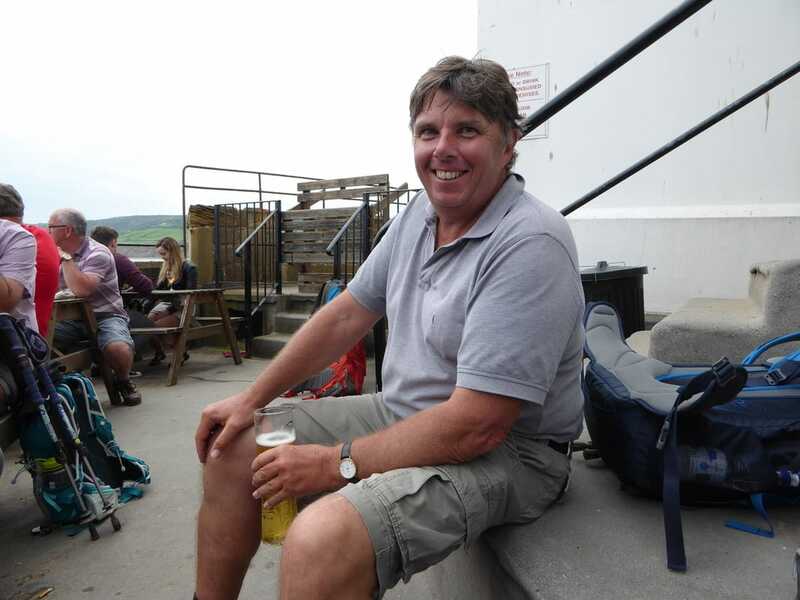 All that needed to be done now was to grab a cold beer and sign the completer’s book which is behind the bar of The Bay Hotel. 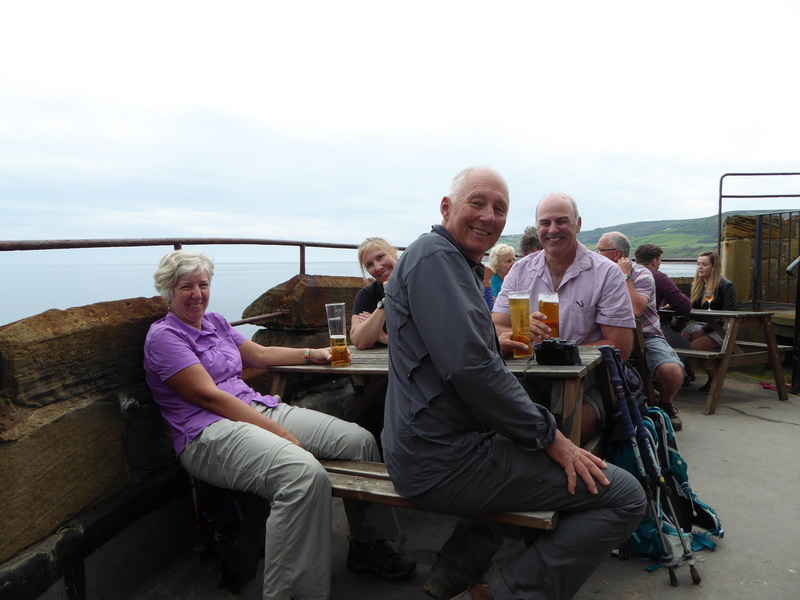 We then joined our fellow walkers for a few drinks before saying goodbye to everyone and wishing them well - we shall miss them. Now the hard bit - walking back up the steep, steep road to the top of town. 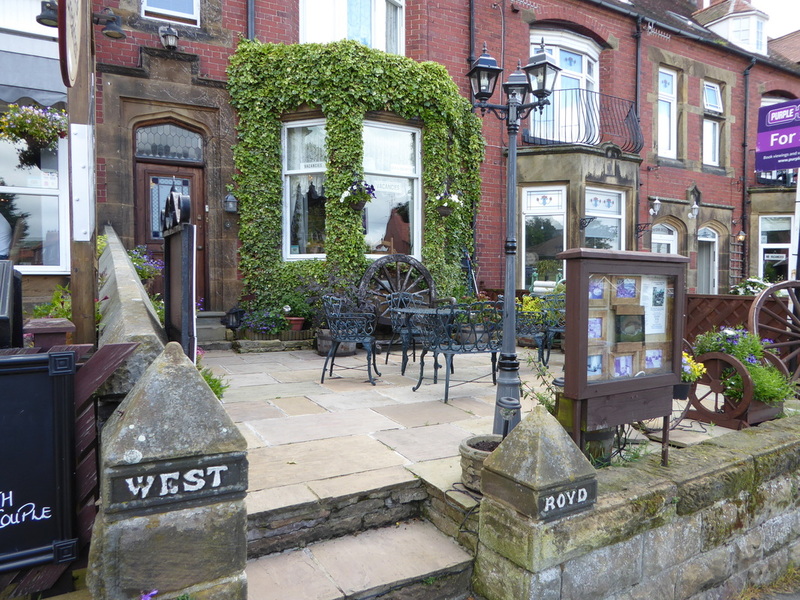 Puffed out, we decided to head to the Victoria Hotel for another drink and in the end grabbed some dinner there before heading to West Royd, our final B&B for the night. Strewth!! Time for a cold one eh Russell? 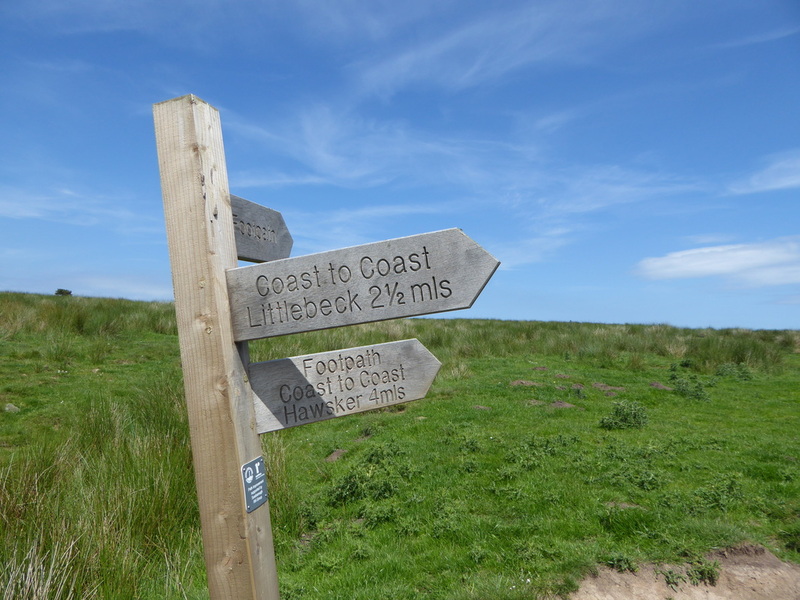 If you are thinking of walking the Coast to Coast then our advice is just do it. 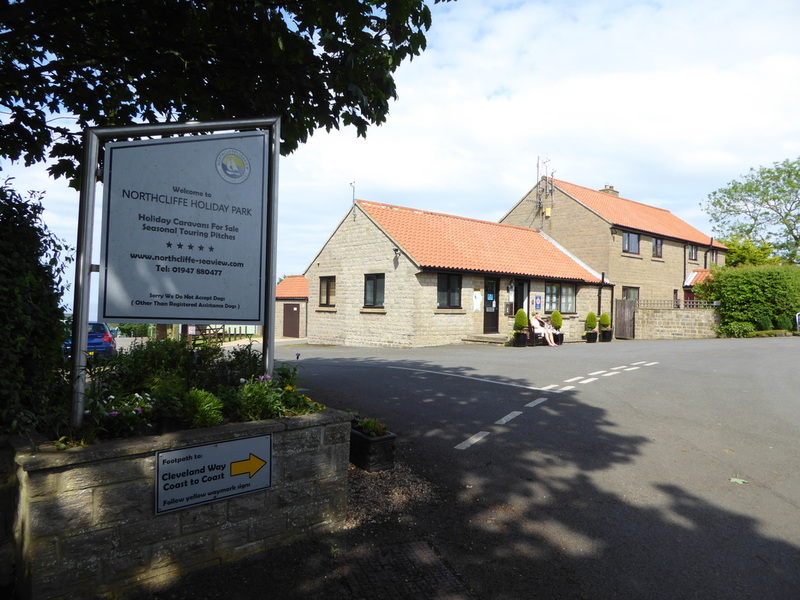 It is a fantastic route, full of interest and you will meet some great people from all walks of life. Some people have favourite parts of the walk and if truth be told the Lake District takes some beating but it is fair to say it is all good - just varied walking on sometimes challenging terrain. 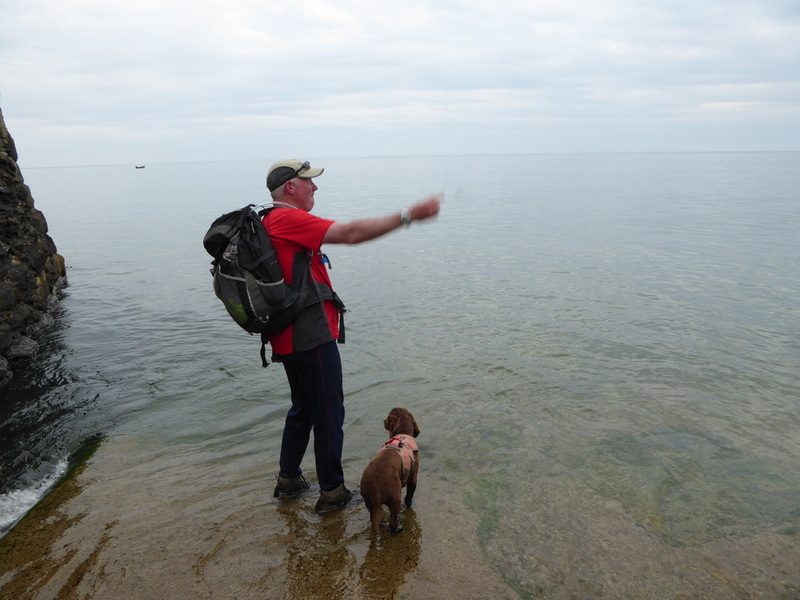 We shall certainly miss this Long Distance Path and will we do it again? Never say never!! Like going back in time - pleasant enough but not one to remain in the memory for too long.